Although Quarry Quest has been taking place for 13 years, that doesn’t mean that there aren’t new and exciting adventures to be had. While many favorite activities remain (riding in cranes, mining for gold, etc. ), there are a few items that are brand new this year. Also new this year is the Wishful Diamond Dig. Dig for precious and semi-precious gemstones in the sand. A nominal fee affords adults a chance at more than 300 gemstones and the opportunity to win a $7,000 chocolate diamond ring from Krieger Jewelers! All proceeds will benefit the Make-A-Wish Foundation of Wisconsin. Advance tickets are available at multiple locations—please visit our website for a complete listing. 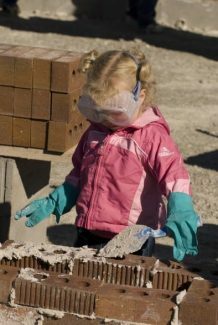 They can also be purchased online at www.quarryquest.com through the “Save Time, Buy On-line” promotion.